Deborah Brody is a writer and consultant with more than 20 years of public relations, advertising, and marketing experience. Her firm, Deborah Brody Marketing Communications (DBMC), provides high-level writing, copy editing, and consulting to small and medium-sized businesses and nonprofits. Prior to launching DBMC in 2002 and helping organizations refine marketing materials, write blog posts, create website content, and generate press releases, the bilingual (English, Spanish) Deborah worked at several leading South Florida-based agencies, including Everett Clay Associates (public relations), The Jeffrey Group (public relations focused on Latin America), and Peter Nasca Associates (corporate communications). In 2001, Deborah taught Advanced Public Relations Writing at Florida International University. 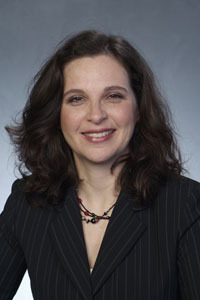 Upon her move to the Washington, D.C. area in 2005, in addition to running DBMC, Deborah worked as the interim Media Director at B’nai B’rith International. She also worked with Communications Resources, a communications consultancy, and served as writing tutor at the Kogod School of Business at American University. In 2012, Deborah launched a series of blogging workshops to teach effective blog writing techniques. Deborah is a graduate of Brandeis University (B.A., Politics) and of Boston University’s College of Communications, where she earned a Master’s degree in Mass Communication. She lives in Rockville, Maryland where when not writing, she enjoys cooking, following current events and politics, going on hikes and long walks, and doing yoga.